"We’re such a feedback-based company, and love to hear where we’re spot on and missing the mark. I have some great news for you—we’re bringing back the Cece Flats! I don’t have specifics on when they’ll debut quite yet, but they’ll be coming back for fall and will be online only. ...we’re bringing back the Cece’s due to all of the feedback we received,... "
I'm super pleased to hear J.Crew is bringing the Cece back. The Emma just didn't work for me. I told my VPS that the difference between Ceces and Emmas is like the difference between cashmere and polyester. Can't wait to see what the colours will be. Speaking of cashmere...there are no cashmere tippi's on the website, which is very odd! Huzzah, this is wonderful news indeed! 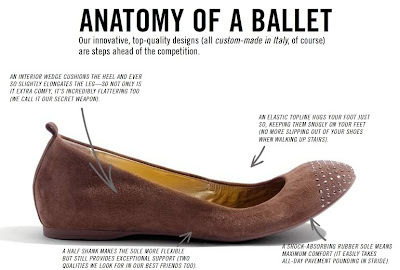 I am thrilled to see the Cece Ballet Flats will be back at J.Crew. Especially since I did not care for the Emma Ballet Flats at all. Not. At. All. Are you excited about Cece's return to J.Crew? Did you think J.Crew was going to bring them back? Are there any other items you like to return to J.Crew?